TalkTalk, one of the biggest UK-based phone and Internet service provider with more than 4 Million customers, has been hacked again, the company announced late Thursday. TalkTalk is informing its 4 million customers that it has fallen victim to a "significant and sustained cyber attack" and it is possible that sensitive data including bank details have been stolen. In February, TalkTalk suffered a major data breach in which its customer details were stolen and misused by scammers to access additional information as well as steal considerable amount of money. What data might have been Exposed? According to the company, potentially all of its 4 Million customers could be affected by the data breach. The company has admitted that "not all of the data was encrypted," which means that the hackers could easily access some of the user data — which also includes their bank details and email addresses. 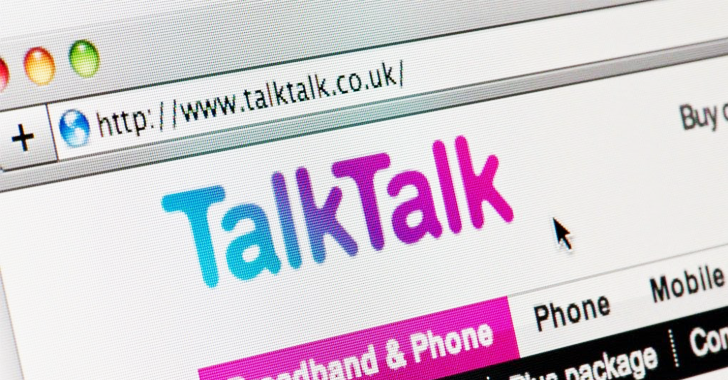 In a statement, TalkTalk said the Metropolitan Cyber Crime Unit has launched a criminal investigation "following a significant and sustained cyber attack on [their] website." What kind of attack was it, and when did it happen? The cyber attack on its servers took place on Wednesday, and the telecom said it took all its website down when it noticed some unusual activities on its website. TalkTalk website was unavailable last night, displaying a message: "Sorry we are currently facing technical issues, [and] our engineers are working hard to fix it. We apologise for any inconvenience this may cause." The internet provider assured its customers that the company did so in an "effort to protect [its users] data". BBC reported that TalkTalk's website was targeted by a distributed denial of service attack or DDoS attack — overwhelming servers with a flood of traffic. However, DDoS on its own is not capable of handing over the hacker access to internal data. All TalkTalk customers are highly recommended to change their passwords as soon as possible and keep an eye on their bank accounts over the next few months. If you come across any fraudulent activity, report to their bank or Action Fraud, the UK's fraud reporting centre. Customers should also be vigilant to unrequested calls asking for their personal details or account passwords, as the firm emphasises that it "never call customers and ask [them] to provide bank details." Customers should also particularly be alert of the Phishing emails, which are usually the next step of cyber criminals after a large-scale hack at any telecoms company. Phishing is designed to trick users into giving up further personal details like passwords.